In the photo are something called record albums, boys and girls. When we had these, they weren’t retro. They were what we had before cassettes and CDs. Always better than 8-tracks, though. For our inaugural Gen X Think Tank, we discussed generational stereotypes – those about our generation in particular. We had an eclectic group who hailed from three different countries and spanned the breadth of our generation – 1965 to 1980. I, your esteemed moderator, am a journalist, blogger and social media something-or-another, and an older Xer. I was joined by ArCompany CEO Hessie Jones, a marketer, tech geek, and writer, and an older Xer as well. Aleksander Macasev, a native of Yugoslavia (the part that became Serbia after the war there), artist and founder/creator of Chromapost. He’s a middle-range Xer. Helen Heath Mosher, a Virginia-based journalist, editor, and digital creative. She’s a middle-range Xer. Angela Florez, has spent her career in the world of nonprofits on partnerships and development and lives in Phoenix. She’s a middle-range Xer. Laurie Dillon Schalk, works in digital advertising in Canada, helping companies find marketing advantages using technology. She’s a middle-range Xer. Ryan Pannell, retired television and film producer, now an international hedge fund manager. He’s an “angsty” (older) Xer. Durga Truex, consults with companies looking to launch new products, industry or markets. She’s a young Xer. We started off with brief introductions, discussing what led us to participate. Aleksander, being from outside the United States, was interested in learning something more about the cultural differences and how these generational stereotypes and boundaries are defined across those cultures. Hessie is the daughter of immigrant parents and lives in Toronto. She’s curious about whether there’s really a difference between who we were when we were the same age as Millennials are now and how much we’re going to end up looking like Boomers as we get older. Laurie (whose name I kept getting wrong but I promise never to do that again!) also lives in Toronto. She’s curious to see how others define Gen X. “Remember the Blind Melon video for ‘No Rain’? The Bee Girl?” At the end of the video, the girl finds all the other Bee Girls. That’s what Durga felt like when everyone started commenting and reacting to her essay. 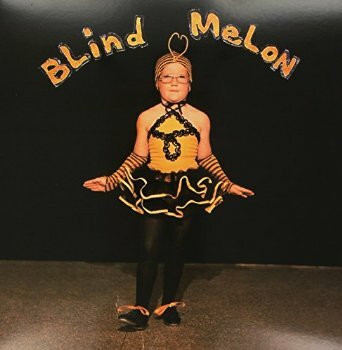 The famous Bee Girl, from Blind Melon’s debut album. Didn’t we all have a little bit of Bee Girl in us? Helen had her camera off because she had her awake 5-year-old who kept trying to photo bomb her. She’s been thinking and writing about being Gen X for years now, and somewhat wryly noted that Boomers are getting blamed for the economy by Millennials, which means Xers can’t even get in the blame game. We spent a little time talking about the shared experiences of our youth. For most Americans, the Gen X childhood was inextricably linked with the Cold War. Imagine our surprise when we realized that for Canadians it wasn’t really the defining aspect of their youth. Aleksander grew up in one of the few European nations that was neither in NATO nor in the Warsaw Pact. (In fact, the Non-Aligned Movement was founded in Belgrade). His youth was starkly defined by the war that tore Yugoslavia apart – the before, under a Socialist government where people had money and could travel wherever they wanted in the country, to the after, when everyone was poor, couldn’t visit certain cities, and were living in a war-torn nation. That defined Generation X vs the generations that came before and after. But in music, Aleksander has found many commonalities with other Gen Xers. He and I and Angela, in fact, met through TurntableFM, in a room devoted to 1980s alternative and new wave music. Ryan noted that it was an odd time musically – the collision of classic rock and new wave, which brought us piles of one-hit wonders – Tarzan Boy, Sly Fox. Helen recalled acting as DJ at her 20-year high school reunion, along with a more “mainstream” DJ. Her classmates praised her for remembering all the cool tunes from the 1980s, despite the fact that she was the one who listened to it back then. And most of her classmates had not. It’s that those post-punk, new wave, and early rap/hip-hop songs were truly different than the rest of the music and are identifiably of that generation. When Durga was in high school, she really got into the Doors and Janis Joplin, because it was the cool thing – “To be a hippie.” But growing up in Washington, D.C., she was there for the rise of Queen Latifah, MC Lyte and others. The boomers called us slackers, Ryan said, because they didn’t understand us. The powers that be didn’t understand when they told us they could “incentivize” us and we didn’t care. My take on that, however, is that those incentives became fewer and further between when we graduated from college. I graduated, for example, in 1991. There were no jobs. It was damn tough to get a job in the late 1980s/early 1990s. The phrase “McJob” arose, referring to crap jobs for crap pay that would have been fine in high school and college, but were not supposed to be what we would be doing after graduating with our expensive college degrees. She recalled the moments from her 20s when she had the privilege of sitting in her studio apartment on a milk crate and just had time to think. She sees millennials taking this desire to carve out an actual life outside of career to new levels. Durga noted, however, that Boomers were like that at our age – idealistic and non-materialistic and now Millennials are claiming to be different than those before by not desiring material things. Latch-key Children – and Adults? Much of our different perspective comes from a very laissez-faire childhood. Laurie wasn’t a latch-key child, but she definitely feels like a part of the Sandwich Generation, squeezed between two other, much larger generations. She wondered if so many of the things we regard as differences between the generations isn’t really particular to the generations we’re in, but rather just a general generational difference that always happens. And that’s a great point. As Durga pointed out – every generation in their youth thinks they have the lock on being less materialist and more idealistic than their forebears. That’s partly because they tend not to have the same responsibilities as of family and mortgages, of course. Her parents divorced when she was young and her mom, a concert pianist, decided to go back to school. For Angela, the Latino culture shaped her childhood as much as her generation. “I wasn’t a latch-key kid, but I might as well have been,” she said. Her parents focused more on the boys. Plus, she was raised in a rural community, where there wasn’t as much connection to others because of the distances. Boomers often are called “helicopter parents,” but I’ve heard Xers referred to as “fighter jet” parents. “You mess with my kids, we zoom in and blow everything up,” I said. Is that a reaction to us being latchkey kids? Is your parenting a result of or a reaction to how you grew up? We talked a lot about the upcoming financial squeeze – how the mass of retiring boomers is going to put such a heavy squeeze on social security and other social programs to care for the elderly. Little by little, Millennials began opening shops, to sell kites, fix bicycles, other odd little niches no one else thought of. “Now it’s an amazing area,” Angela said. And corporate America is trying to horn in on it – that’s when you know you’re fighting the good fight, she said. We’re all pretty satisfied with being Generation X, and no one complained about that label. What we should do with that resourcefulness, however, is figure out how to leverage the strengths and weaknesses of every generation to better work together. So let’s figure out how to talk with everyone and put all those strengths to use. Aleksander agreed that improvisation and resourcefulness define our generation. “I’m so actually grateful and happy to be a Gen Xer. We lived in the pre-internet era. We knew something totally, totally different,” he said. Referring to the technology we’re working with every day, “We saw the beginning of it, we lived it and we’re kind of made of it, too. We had no idea what to do – the model set in stone that our parents told us about wasn’t going to work. So we kept inventing every morning when we woke up, he said. Photo by Steve Snodgrass via Flickr Creative Commons. Amy Vernon spent 20 years as a daily newspaper journalist, helping readers understand the world around them. Now, she tries to do the same with her clients, friends, and community on social media. Amy speaks at conferences throughout North America and was an inaugural inductee of the New Jersey Social Media Hall of Fame. Amy has blogged for many sites, including VentureBeat, The Next Web, Network World, and Discovery.com’s Parentables, and has driven literally millions of page views through her work. Mr_McFly ArCIntel It’s funny ‘cos it’s true? AmyVernon henselec Thanks, sounds lovely, but just don’t have the time. Will check in on your blog every once in a while, though.